Be met by our tour guide at the arrival hall of Shanghai airport. Relax at the Bund and Nanjing Road to appreciate the different foreign style buildings of the city’s colonial period as well as do some shopping. Nanjing Road is the famed shopping street in the world. Enjoy Acrobatic Show for the evening. Continue our sightseeing in Shanghai. First visit the Yu Garden, a beautiful China classic garden of the Ming Dynasty, and the Yuyuan Market to hunt for some interesting local things. 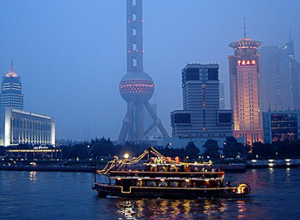 Then move on to the Oriental Pearl TV Tower to have a panorama of Shanghai city. Transfer to the Shanghai Urban Planning Exhibition Hall, which is a fascinating insight into Shanghai’s future with great displays. Come to Tianzi Fang old district in former French concession, which turns into a trendy area with a mix of well-preserved Shikumen architecture and art galleries, bars, craft shops and art studios. Be transferred to airport and take a morning flight to Xian. Arrive in Xian. Be met & transferred to your hotel. After a short rest you will take city tours to Big Wild Goose Pagoda beautiful Buddhist building and Shaanxi History Museum, which is one of the four best national museums in China. Enjoy delicious Dumpling Dinner and gorgeous Tang Dynasty Music and Dance Show in the evening. After breakfast, we go to witness the world wonder-Terracotta Warriors and Horses, the impressive Undergound Army formed of hundreds of life-size soldiers. Later, you will be transferred to Xian airport. End of our service. Arrive in Shanghai. Relax at the Bund and Nanjing Road to appreciate the different foreign style buildings of the city’s colonial period as well as do some shopping. Nanjing Road is regarded as the No. 1 commercial street in China. Enjoy Acrobatic Show for the evening. Today’s activities include Shanghai Museum, one of the four best national museums in China; Yu Garden, a beautiful private garden built in the Ming Dynasty; Yuyuan Market, which sells a variety of interesting local things; and Oriental Pearl TV Tower, one of the tallest buildings in the world. Hotel pickup & transfer to airport; fly to Xian. Be met by Xian local guide at the arrival hall of Xian airport and transferred to hotel. After a short break, have city tours to the Shaanxi History Museum, first-rate museum with great displays of Chinese civilization, and the ancient City Wall which was a well-preserved military defence facility and gives good view of the city at the top. 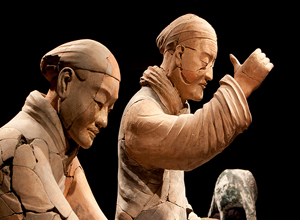 Today let’s first come face to face to the great Terracotta Warriors and Horses “underground army”. Then transfer to the Huaqing Hot Spring which is the winter resort of Emperor Xuanzong and Concubine Yang Yuhuan. Last, visit the simbol attraction of Xian-the Big Wild Goose Pagoda, a beautiful Buddhist architecture. Free time until being transferred to the airport. End of our service. *Entry Shanghai and exit Xian flights.